Wei Yi built a reputation on the streets south of Xintiandi for his noodles and his temper. Now, 15 years later, he's back, with new ideas. Wei Yi leans back in a leather chair at his oversized desk. “You want to know about noodles? You’re lucky you found me,” says the 44-year-old, blowing out cigarette smoke. In the hall outside, a worker sits in a haze of flour, making the noodles that power Wei’s kingdom. Inside, I have been waiting more than an hour for my audience with the noodle king of Ji’an Lu. The reputation of his temper precedes him; among a certain set of Shanghai, his noodles are jokingly referred to as ma ren mian: Cursing Noodles. I stumbled into Wei’s world accidentally, lured by a shop with a rare-sounding noodle. 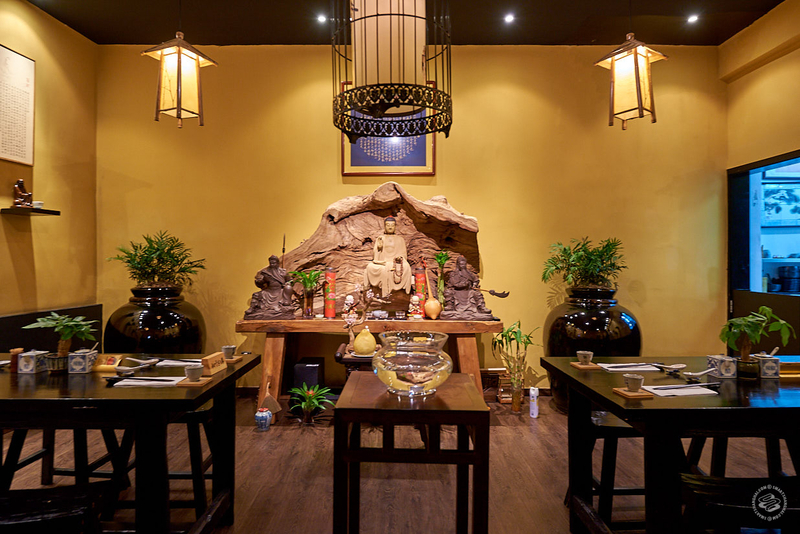 Yi Ji E Guan, or Yi’s Goose House, opened in early fall around the corner from Yi’s office. 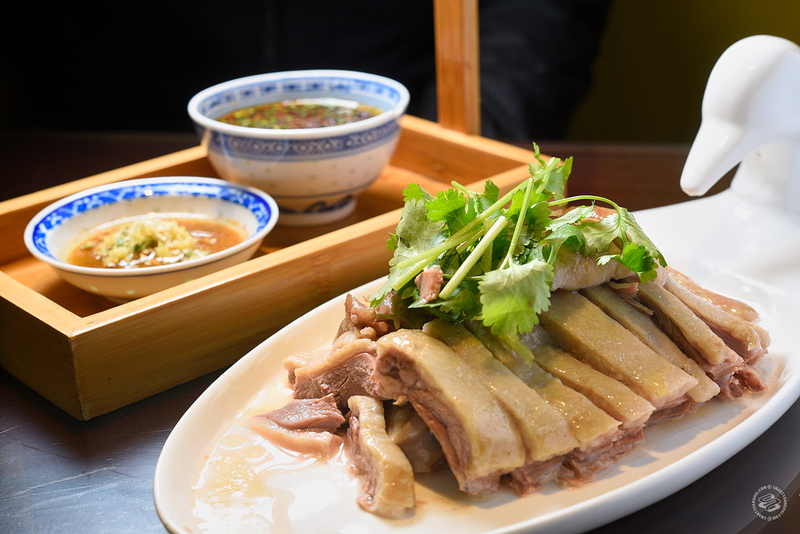 A street-front stall and cramped back room, connected by a grimy alleyway, Yi’s Goose House caught my eye for offering a twist on a Shanghainese classic. “White-cut chicken”, in which the bird is poached in stock before being chilled and cut into pieces, is a city staple. Landmark restaurants and newer chains specialize in it. 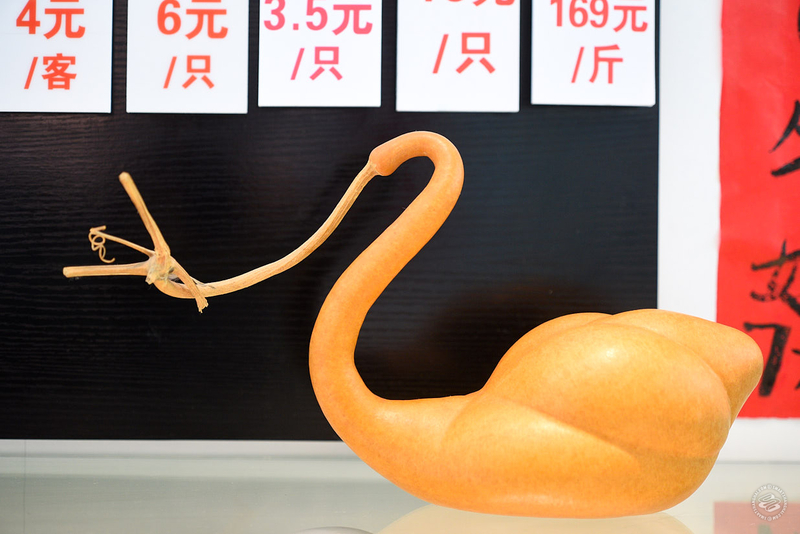 But none thought to substitute a goose for the chicken, an idea that came to Wei during his travels in Guangdong, where the large bird is more commonly eaten. He experimented with various birds, and found that 80-day-old geese were mild-flavored and tender enough to suit the Shanghainese palate. He used their fat to fry fragrant shallots, also from Guangdong, and used both the shallots and the frying oil to make a version of congyou banmian. In the world of noodles and white-cut poultry, it’s hard to invent something new. Wei has. 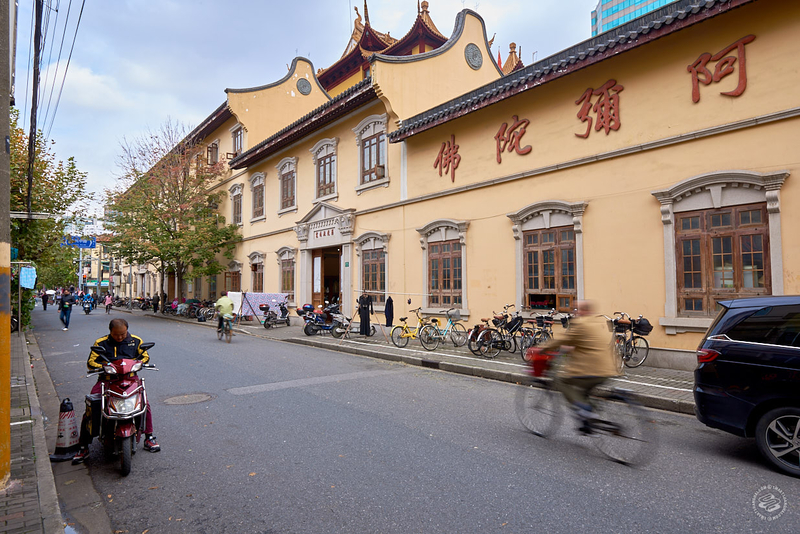 Life is lived on the street in the lanes around Ji'an Lu, southeast of Xintiandi, with monks wondering from the nearby Fa Zang Jiang temple, aunties hanging out their bedspreads and shops spilling out their small wares. 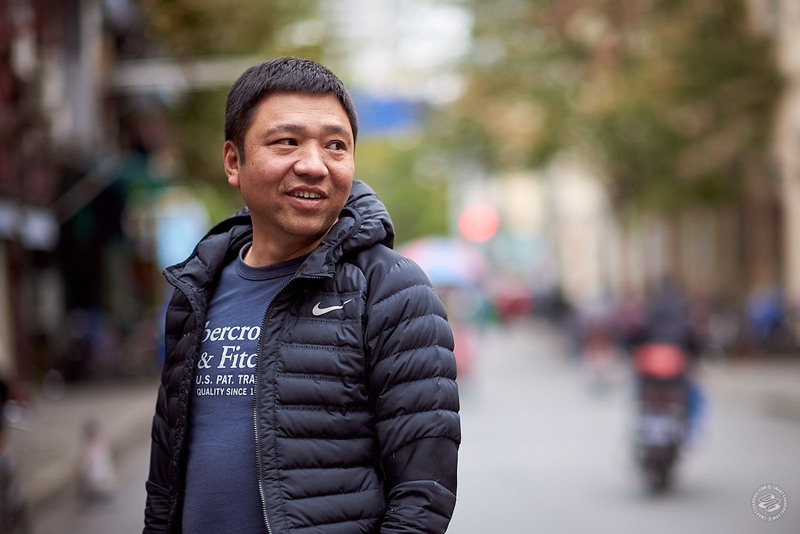 It’s a Shanghai from a different age, one Wei has lived and worked in since he was 26, when he scraped together enough money for 28 tables set out on the Zhaozhou Lu sidewalk. He cooked la rou si noodles, shouted at his customers and dictated their order. For nearly an hour, Wei holds court in his office, dishing out stories and proclamations about other noodles in Shanghai. 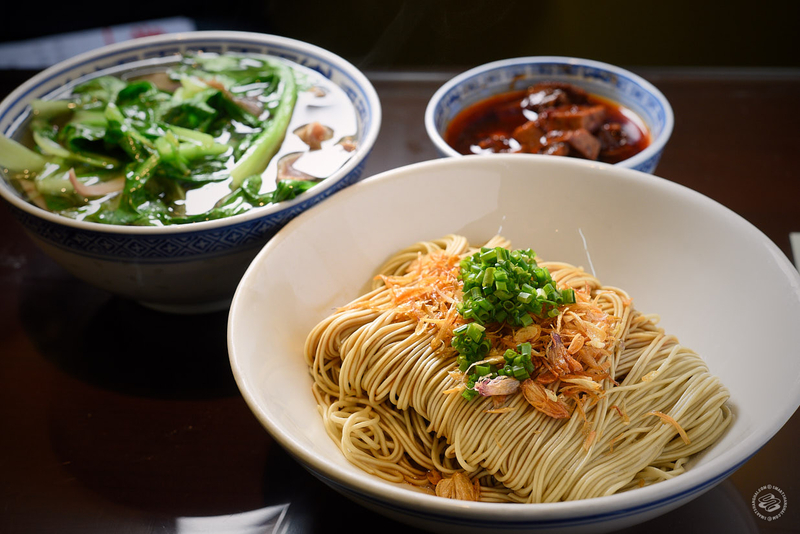 Since those first years on the sidewalk, he has built a small noodle empire, anchored by a noodle factory that supplies many of the other noodle shops and supermarkets around Shanghai. “There’s not a single boss of a famous noodle shop in Shanghai who doesn’t know me,” he says at one point. Now he is expanding his noodle reach but only with the strictest of definitions. “If it has more than two items on the menu,” he says, “it’s not a noodle shop. It’s a fast-food restaurant.” His temper, his expertise (he eats 400 bowls of noodles a year at a minimum), the force of his words – I smile and nod. Downstairs, customers of all types line up on the street for a seat in his most famous restaurant, Yi Gui He. 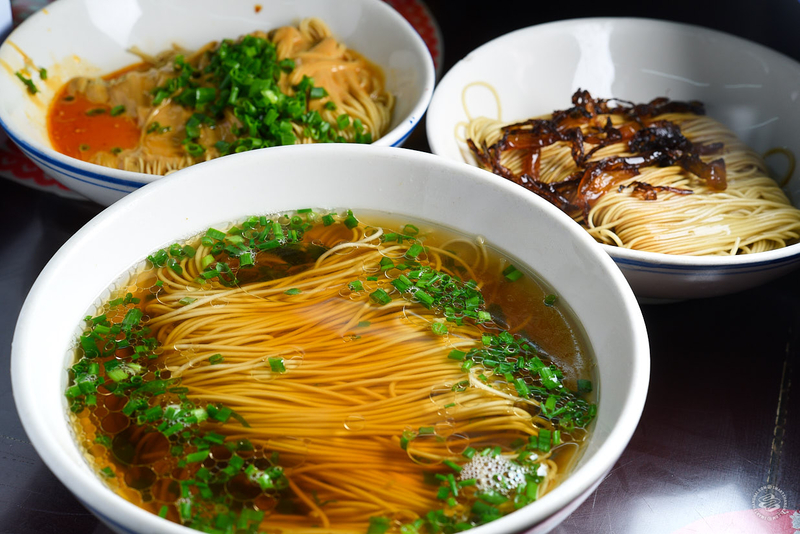 Grandfathers and middle-aged men with walnut bracelets and hip kids in their 20s taking food photos crowd around the small shared tables, slurping down bowls of yangchun mian, a very Shanghainese soup noodle made with a soy-spiked broth and a lashing of pork fat. A deeply nostalgic noodle, it recalls a time when food was scarce and ingredients limited; the name, The First Sunlight of Spring, thumbed its nose at the poverty. Wei leads us back into the lanes to show off his most recent project. We follow him past the line for Yi Gui He, past an open doorway looking into a kitchen, to a generic brown door. He opens it. Our eyes adjust. The yellow of the temple comes into focus. The walls are painted deep mustard and a wooden shrine sits on the wall. A handful of tables sit empty; no one has booked for today. This is Yi Gui Tang, Wei’s vegetarian restaurant, where pious noodles start at 69rmb a bowl and must be reserved at least a day in advance. It’s open just three hours a day. Wei smiles proudly as he shows off the secret and then quickly ushers us back out on to the street. He poses for a quick photo, shouts a goodbye and then drives off on his scooter. A fourth Yi restaurant is in the works. De Yi Zhai will be a throwback to the days of canteen and factory kitchen days, where you got a big bowl of noodles and had the choice of dozens of pre-prepared toppings, as much as you liked. 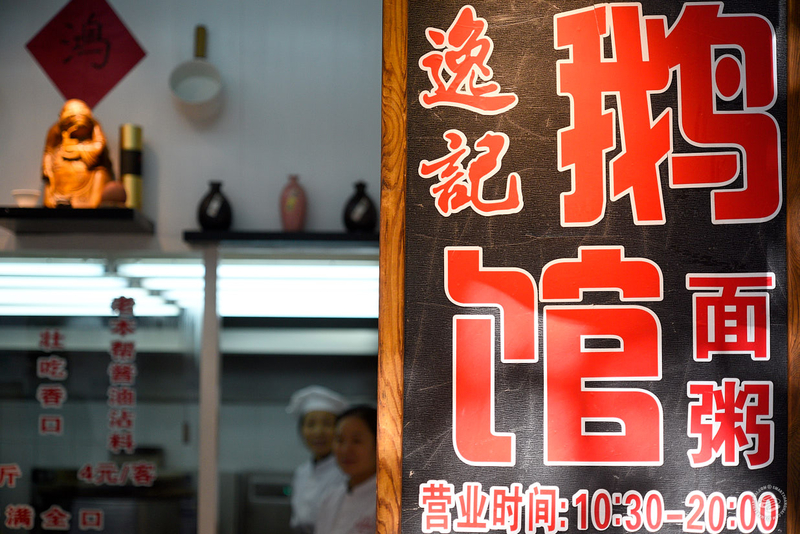 This is in contrast to the current trend of xianchao toppings, cooked to order, and like all of his restaurants, Wei is sure it won’t be any less than an guaranteed success. He is, after all, a noodle expert. It’s scheduled to open before the end of 2018. All four restaurants are within a half-block of each other. Together, they form Wei’s kingdom. Finally allowed to roam free, we head back to Yi’s Goose House, the original draw. The menu is short, with just three items. We order a quarter of a poached goose and a bowl of congyou banmian, which comes with an offal-rich soup, and leave the goose wontons for another time. The cashier heads behind the kitchen glass herself and pulls up a large, cream-colored bird. In short order, she splits it in half, and then in half again, leaving just the leg and thigh of the bird. 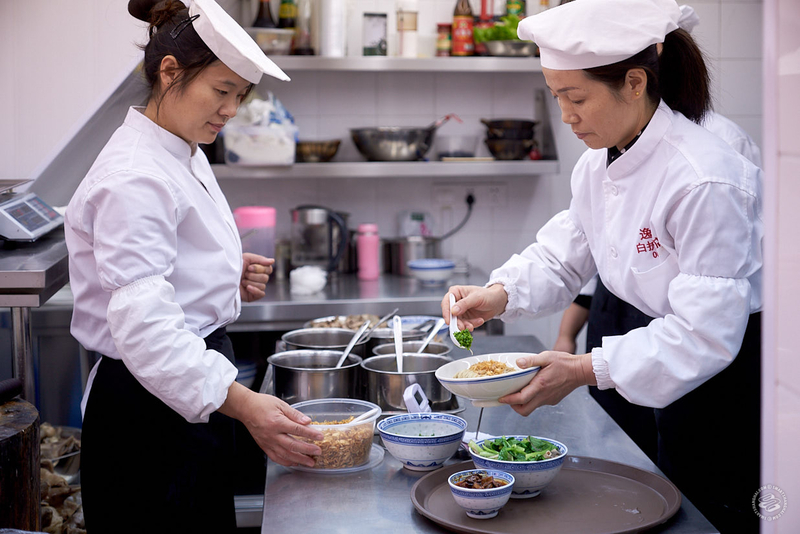 Her cleaver falls quickly, separating the goose into single bites, which she dishes up with both a medicinal Guangdong-style sauce and a more traditional Shanghainese soy sauce. We take it into the back room. A group of four middle-aged men are tossing their own bowls of noodles. Yi Gui He was too busy for them, they say, and so they decided to try the goose place. They like it, they tell us, and they’ll be back. The cashier brings our noodles back into the room, a neat pile that’s been folded over on itself, showered in the goose-fat-fried shallots and fresh spring onions. 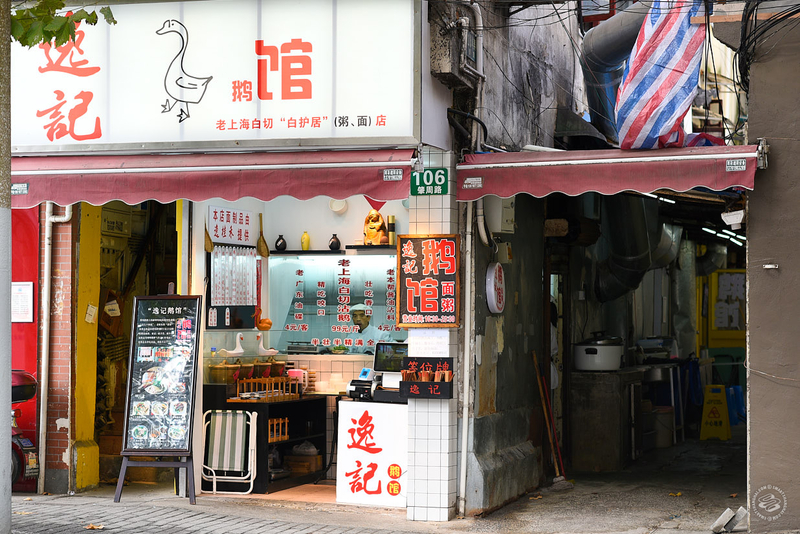 The soup, a rich broth made with old geese, fresh pork belly, apples, pears, osmanthus wine and hua diao wine, is full of goose innards: crunchy gizzard, soft liver and snappy intestines. The noodles don’t taste overwhelmingly of goose but are more noticeably fragrant than other restaurants; the soup is clean and flavorful. No one is around to yell at us, and the sounds of the street have faded away. Wei’s domain might have been built on curses and insults, but here, deep in the lane, with an excellent bowl of noodles, the kingdom is at peace.